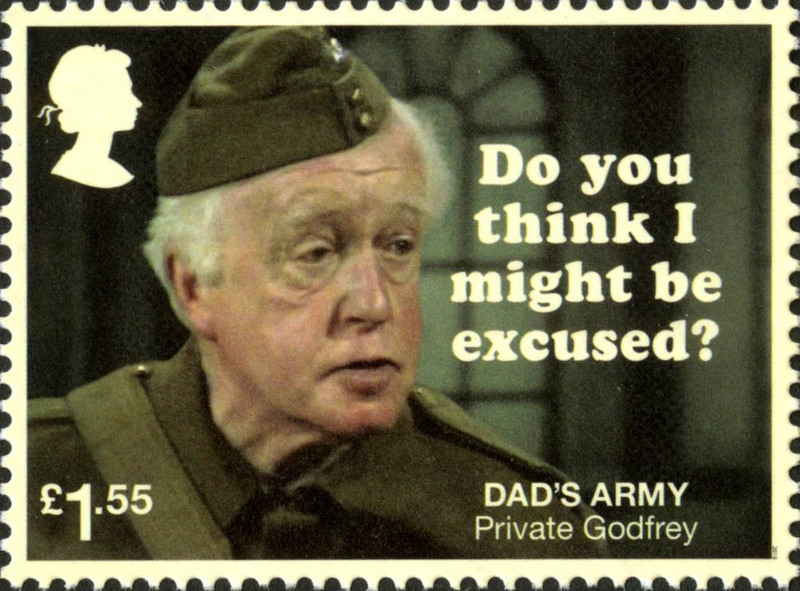 "Who do you think you are kidding Mr Hitler...." Take a look at stamps commemorating the iconic sitcom Dad's Army with Assistant Curator Georgina. 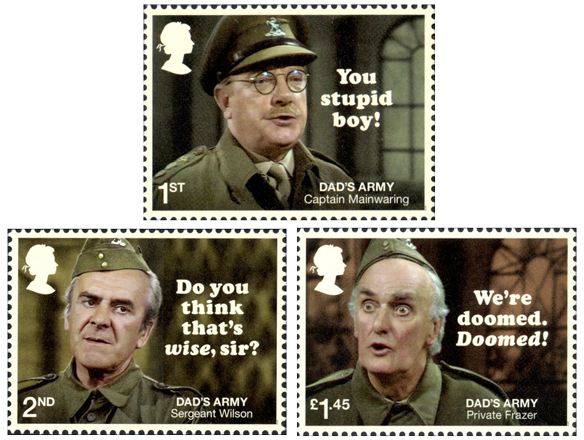 To celebrate 50 years since the first broadcast of Dad’s Army, Royal Mail issued a set of eights stamps on the 26th of June to commemorate its iconic characters and their catchphrases. I have always been a fan of the show and jumped at the chance to look a little closer into the characters and the real Home Guard of the Second World War. 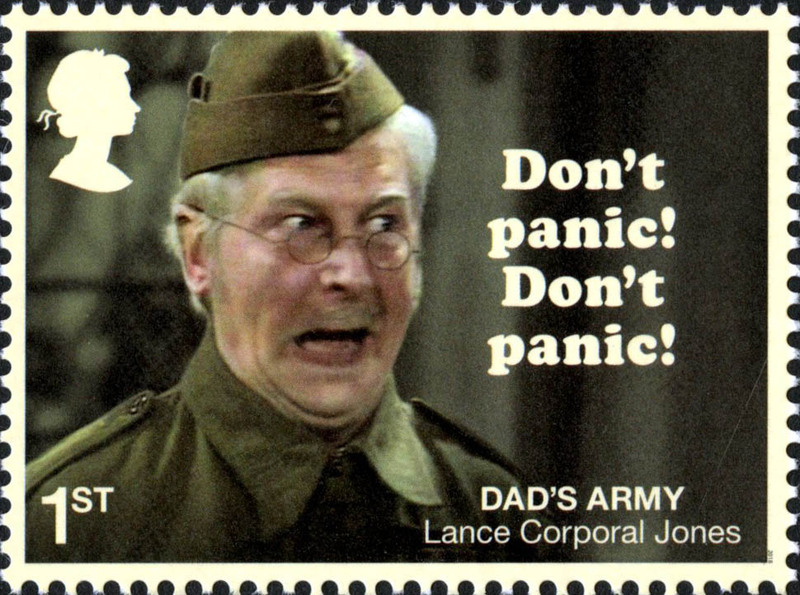 Dad’s Army, a BBC sitcom written by Jimmy Perry and David Croft was first broadcast in 1968. The show ran for nine series concluding in 1977. It reached staggering audience numbers and it’s characters became house hold names with the likes of Captain Mainwaring the platoon’s commander and the undertaker Private Frazer. 1at NVI, 2nd NVI, £1.45, Captain Mainwaring, Sergeant Wilson and Private Frazer, Dad’s Army, 2018. 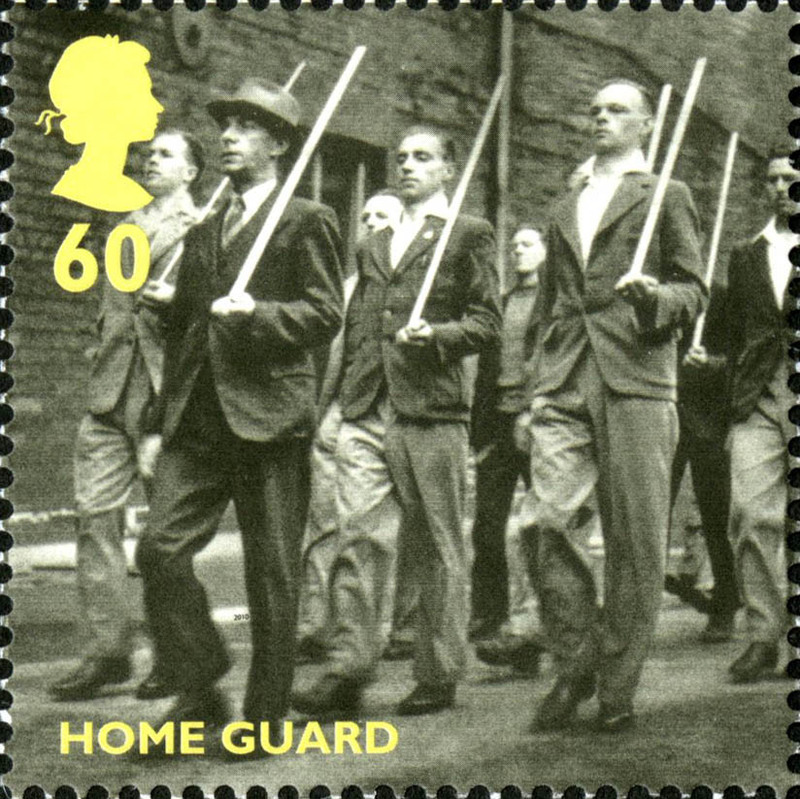 The Home Guard (originally the Local Defence Volunteers) was created in 1940 for men between 17-65 as a means of defending Britain against German invasion. Members still had normal jobs and performed their roles around their work. 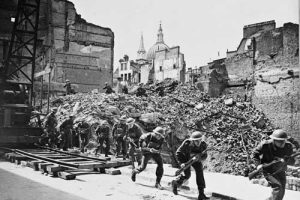 The Home Guard developed into a well equipped force of 1.7 million men of which over 1,206 were lost in duty. 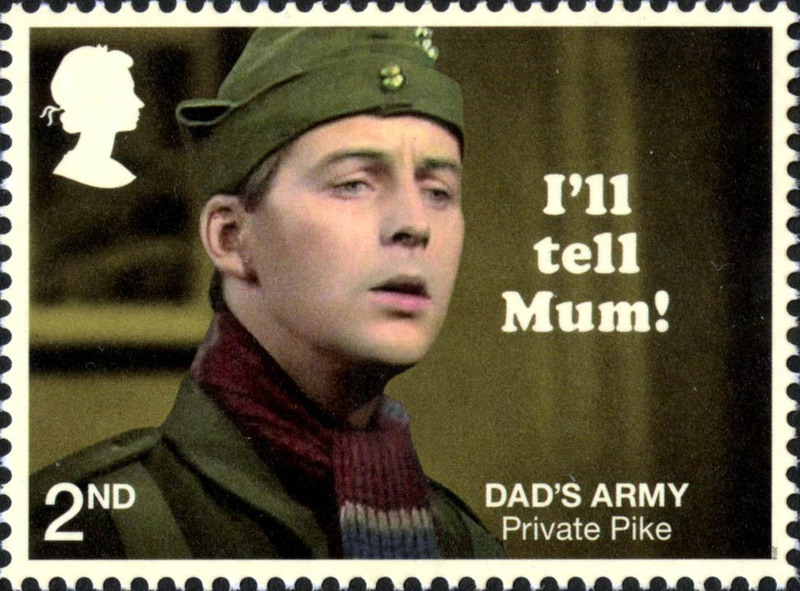 Private Pike was the youngest member of the Home Guard and very much coddled by his mother. He always wore a scarf to keep him warm and cried “I’ll tell mum!” when upset. Pike is an example of a younger man not called up to the front due to failing medical tests, Pike had a rare blood type. Many of the members of the Home Guard would have already had military service having fought in WW1. 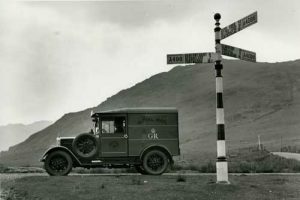 The Home Guard allowed them to be part of the war at an age they would not be fit for front line combat. Private Godfrey was, in fact, a conscientious objector during WW1 but was awarded the Military Medal at the Battle of the Somme for his medical duties. 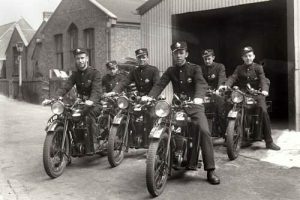 After the formation of the Local Defence Volunteers, it was decided to form a designated force for the Post Office. 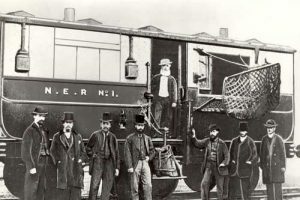 These men would defend important postal building and the telephone exchange. 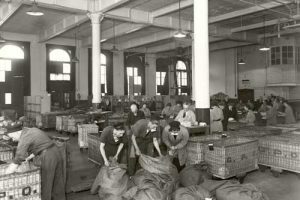 Their battalions were not only trained as any other Home Guard but the Post Office had dedicated camps for further instruction. 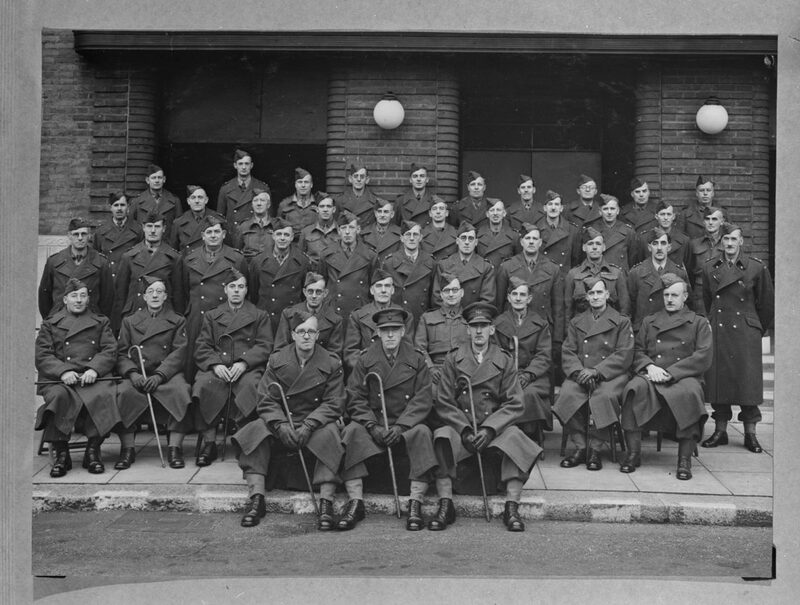 The below photograph is of the 22nd City of London (5th GPO) Home Guard taken in November 1944. 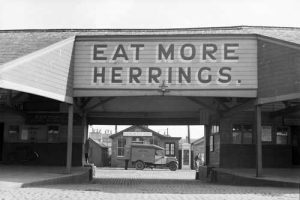 Lance Corporal Jones was a butcher in the TV series, supplying the local residents with their ration of the meet. 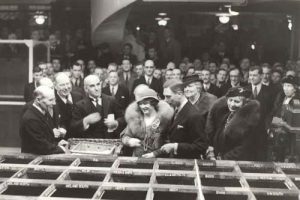 Rationing was essential to maintain an equal share for families across the country during the national shortages. Families were also encouraged to ‘Dig for Victory’ and grow their own vegetables. 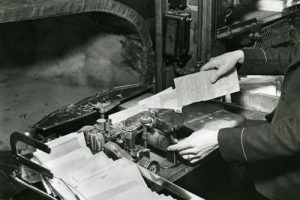 Each individual had a ration book consisting of coupons to purchase certain food. Rationed food could also be purchased on the black market at inflated prices. 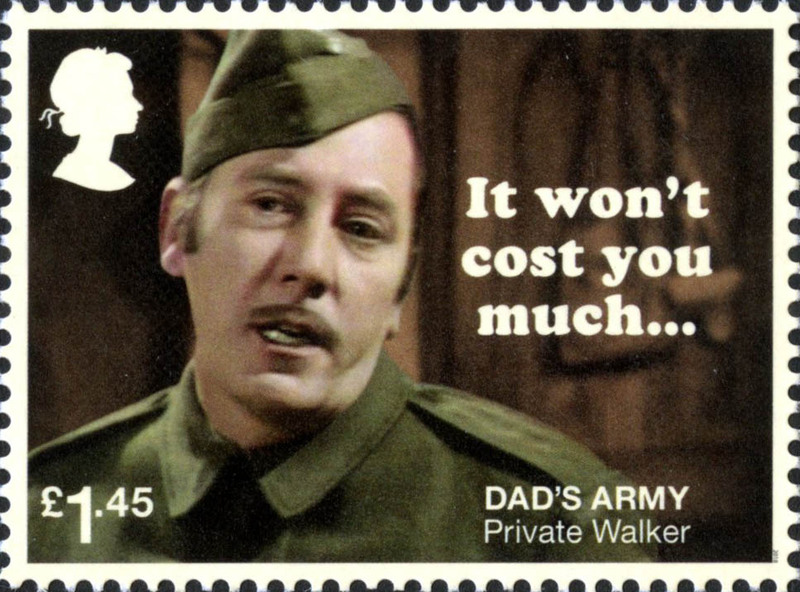 Private Walker catch phrase “It won’t cost you much…” referred to his dodgy dealings supplying people with hard to come by items. 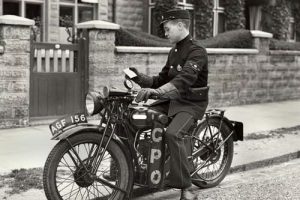 The Air Raid Warden was your local member of the Air Raid Precautions (later the Civil Defence Service). 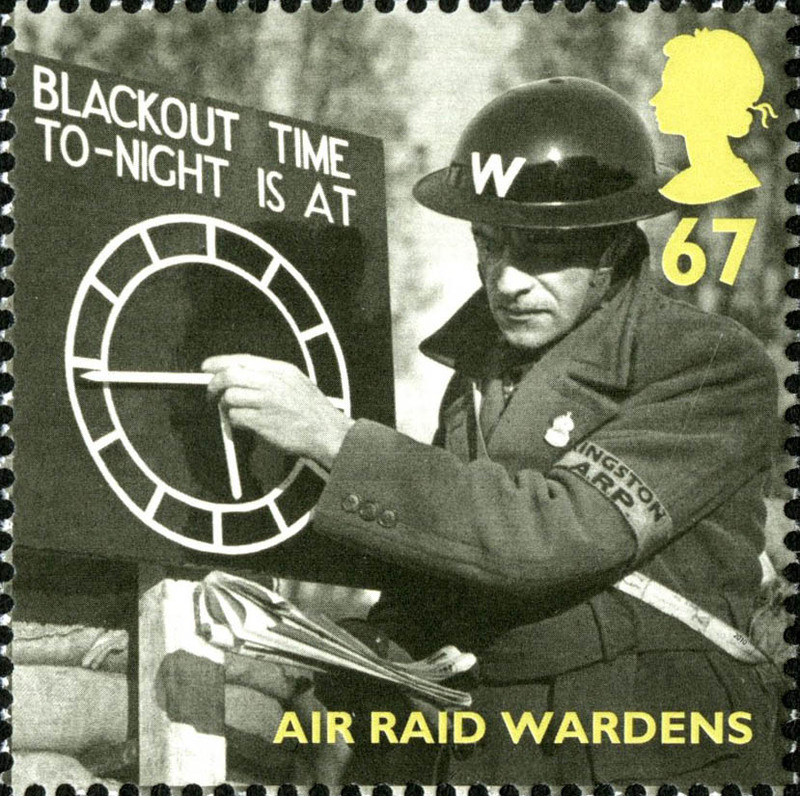 It was their duty to enforce the ‘black out’ ensuring no artificial light was used after a certain hour. 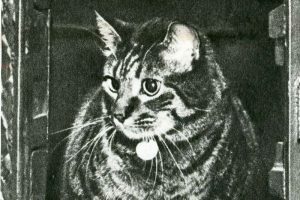 They would also be on patrol during the air raids, putting themselves in significant danger to help people to the shelters. 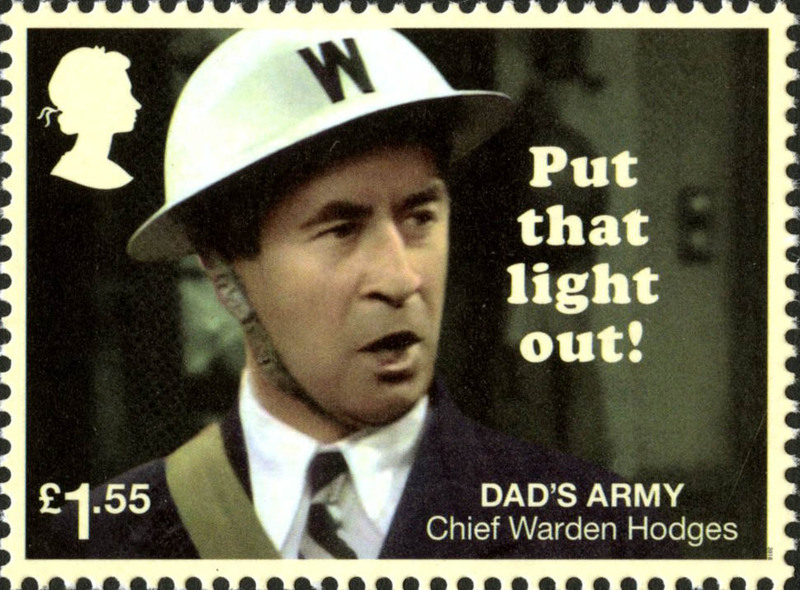 Chief Warden Hodges was one of fictional Walmington-on-Sea’s Air Raid Wardens. A thorn in the side of the Home Guard he is remembered for continuously shouting ‘Put that light out!’. Hodges is recognisable in his warden uniform steel helmet as a mark of his position. It has been so much fun looking into these characters and remembering some of their best scenes. But the programme had a message which is summed up brilliantly at the end of the last episode ‘Never Too Old’ when Captain Mainwaring along with his men toast the Home Guard. These men deserve our gratitude and admiration for the dedication and bravery they showed during the war.